Yesterday we saw a video of the Porsche 911 GT3 RS on the track. Now we have another video this time of the faster Porsche 911 GT2 RS. 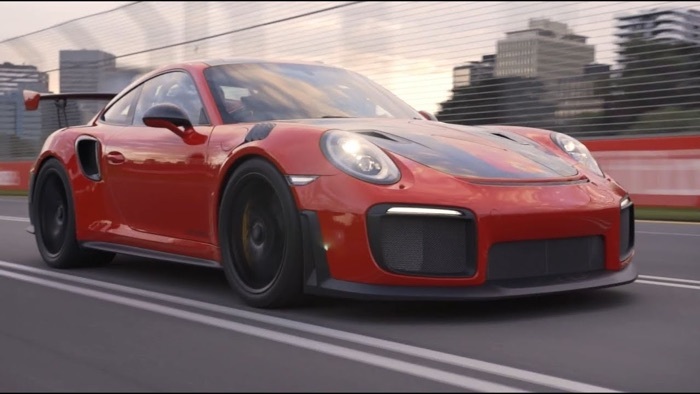 In the latest video we get to see Mark Webber take the 911 GT2 RS around the Albert Park Grand Prix Circuit in Australia. This is the circuit for the Australian Grand Prix which took place last weekend. The Porsche 911 GT2 RS is one of the most powerful 911’s ever produced, the car currently holds the Nürburgring World Record for the fastest production sports car. It comes with some amazing performance figures. The 911 GT2 RS comes with 700 horsepower and it 553 lb-ft of torque, plus a top speed of 211 miles per hour. The car has a 0 to 60 miles per hour time of just 2.8 seconds. Previous versions of the 911 GT2 RS have been given the nickname of ‘The Widomaker’ because of the cars extreme performance, it looks like this new one may get that title as well.